Previously posted on Black & Gold Tchotchkes. It’s okay if you still call it “hummus” and not bean dip. It has tahini in it! I not sure why I post pictures of the ingredients, but here they are anyway. In either a food processor, bowl with a stick blender, or a traditional blender; chop together the garlic and chipotle peppers. Then add the drained black beans, the olive oil, lemon juice, tahini, cumin, paprika, salt and pepper and blend until smooth. The hummus will be very thick, so using either the reserved water from the can or plain water, slowly add a tablespoon of liquid at a time while blending to thin to desired consistency. 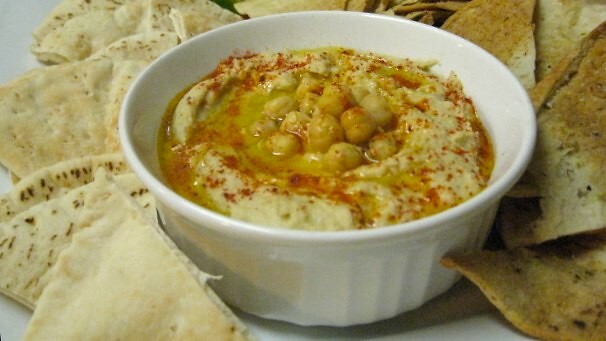 Serve with fresh pita, pita chips, rice crackers or chopped vegetables for dipping. Preheat the oven to 375º and line a cookie sheet with either parchment paper or foil. 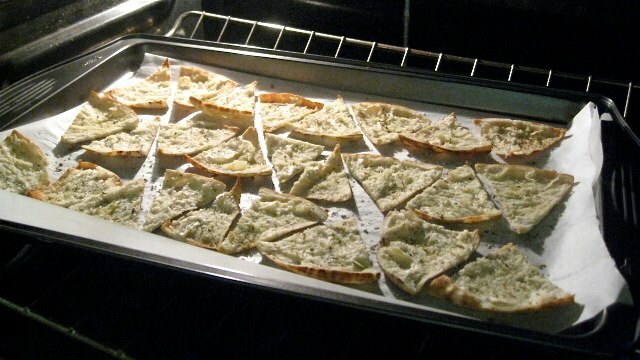 Brush the pita chips with olive oil, (or put in a giant plastic bag with the oil and shake until coated), then place on the baking sheet. Sprinkle with dried oregano and salt, then bake until golden brown, approximately 4-6 minutes. You can also use lemon zest, sage or pepper to season the chips. *Some people don’t like the taste of tahini. 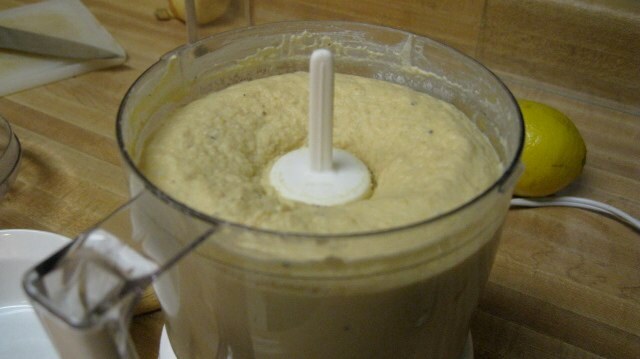 You can use a tahini sauce, sold in stores like Trader Joe’s or Whole Foods, for a milder hummus. Just only use this substitution when making a more traditional hummus, as tahini sauce would not stand up to the stronger flavors of chipotle or jalapeno. Yes, this step is so important I am willing to show it out of focus. Even chickpeas in the can have this little shells on them. 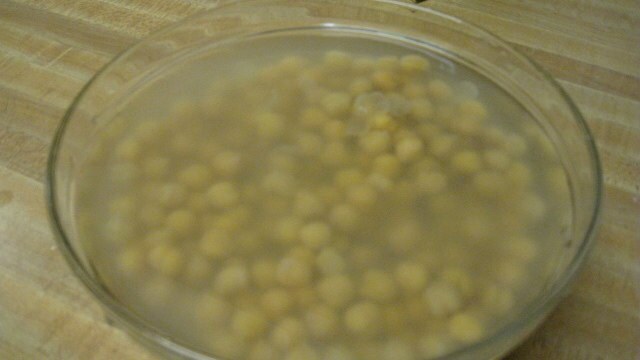 To remove these easily, soak the chickpeas in bowl of water (not the water from the can), for an hour and then swish them around to remove these casings. Now, you don’t have to do have to remove these shells, but it makes for a smoother hummus if you do. Up to you. Garlic, olive oil and salt. Most good recipes include these three items, even if it’s a recipe for a chocolate cake. In a 375º oven — the same heat for your pita chips! 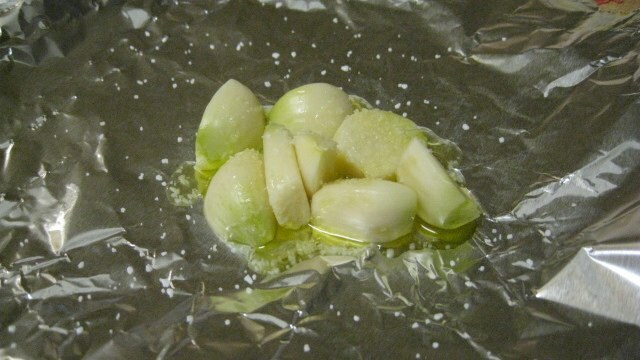 — roast 3-4 cloves of garlic chopped in half, wrapped in foil with a light drizzle of olive oil and a pinch of salt until cooked thoroughly, about 20-30 minutes. 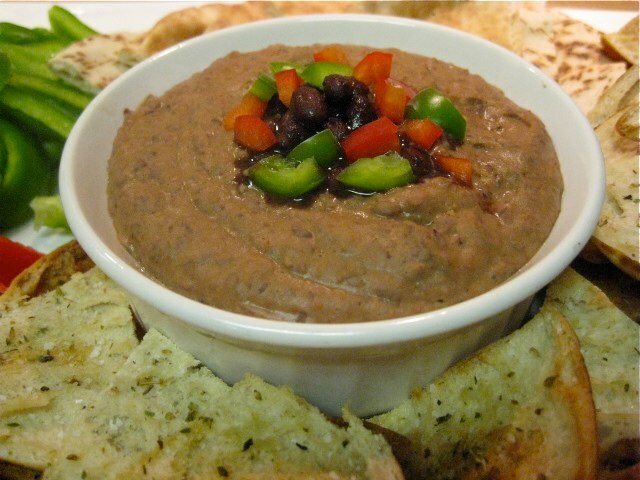 You can use more garlic in this recipe than the raw garlic in Chipotle Black Bean Hummus because roasting the cloves will take the pungent edge off of the garlic. In either a food processor, bowl with a stick blender, or a traditional blender; chop the roasted garlic. Then add the drained chickpeas, the olive oil, lemon juice, tahini, salt and pepper and blend until smooth. The hummus will be very thick, so using either the reserved water from the can or plain water, slowly add a tablespoon of liquid at a time while blending to thin to desired consistency. Serve, topping with a drizzle of olive oil — Do not skip this step! It’s where the magic happens! — and sprinkle with paprika. Saturday is looking like a bust for football watching since we will be traveling to see Bry’s grandmother. Sunday is obviously Steelers-Browns, but Baltimore-New England looks good, New Orleans-Tampa Bay, and sadly, Dallas-Minnesota. What are you making this weekend? What games are you watching? 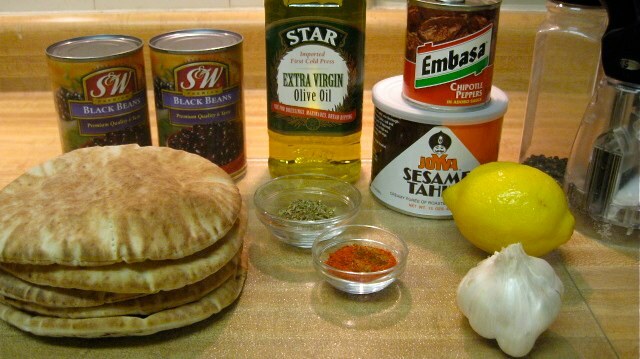 Thanks for the recipes…especially the tip about tahini substitute. Yeah…much cheaper! !